Unlike most of the United States, spring arrives early at Walt Disney World, located in central Florida near Orlando. You can expect temperatures in the mid- to high 70s, but be prepared for cool nights and mornings. Sharp-eyed visitors may notice some of central Florida's native animals making an appearance this time of year, but unlike sunscreen, a necessity at any time of year in the Sunshine State, you won't need to break out the bug spray or worry too much about overheating in this mild month. If you are traveling to Disney World by car, be aware that a motorcycle festival in Daytona Beach at the beginning of March can cause traffic delays in the region. Expect moderate crowds in the parks, except in those years when the Easter holiday and spring break occur in March. 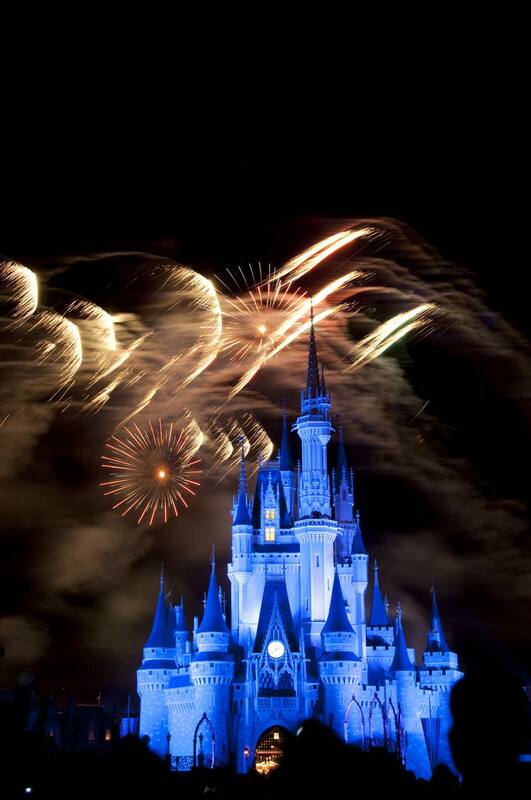 Cool, moderate weather makes March a great time to visit Disney World. The comfortable temperatures make exploring the lesser known walking trails around the parks and resorts in places such as Epcot's World Showcase, the Wilderness Lodge, or Animal Kingdom much easier without suffering from the intense heat that comes later in the year. Variables temperatures can give you 60s one day and 80s the next. You will also likely experience at least one rain shower during your visit, with March being the rainiest month outside of the actual summer rainy season. By the end of the month, you'll be getting a bit more than 12 hours of time between sunrise and sunset. Daylight savings time starts in March too, extending the light longer into the evening hours. Be prepared for a range of temperatures in March. You may start out in the morning wearing a hoodie or sweater with long pants, then want to strip down to shorts and a T-shirt by mid-afternoon, then want to cover up again when the sun goes down. Don't let cool or cloudy weather fool you: the Florida sun can inflict serious damage at any time of the year so you need to diligently apply sunscreen whenever you're going to be outside. You may get days warm enough to make swimming an attractive option, so go ahead and pack a swimsuit. Most of the resort pools are heated, and both Typhoon Lagoon and Blizzard Beach water parks are typically open in March. Cheap plastic ponchos pack easily and can help you stay dry when the inevitable rain showers blow through. St. Patrick's Day: If you find yourself in Disney World on March 17, head to World Showcase's United Kingdom Pavilion and join in the lively St. Patrick's Day festivities. Epcot International Flower and Garden Festival: March marks the start of this annual botanical event in the Epcot theme park. Visitors will be treated to an array of special floral exhibits, playgrounds, and interactive attractions. The festival also offers activity stations for kids, the opportunity to shop with select specialty vendors, and free Garden Rocks concerts on the weekends. Look for the garden-themed playgrounds and butterfly hatchery scattered in and around Future World at Epcot if you are traveling with small children. You won't find these special exhibits and activities at any other time of year. Pack your camera. With the sun shining and the flowers blooming, photo opportunities abound as the Disney characters come out to meet guests in a variety of photo-friendly locations at this time of year. Make sure to use the FastPass+ program on the My Disney Experience app before your trip to cut your attraction wait time significantly. Dining reservations are accepted 180 days in advance of your visit online, via the mobile app, or by phone. If you plan on dining at a table service restaurant, hot spots like the Cinderella's Royal Table and Le Cellier are almost always fully booked at least three months in advance, so make your reservations as quickly as possible. Although the water may be a bit chilly, the sun is usually shining, so March is a great time to head to Disney's water parks. To learn more about the pros and cons of visiting Disney World during March, check out our guide on the best time to visit.